Groovy Lab in a Box encourages children to channel their inner STEMist. Our purpose is to provide children with an opportunity to focus his or her imagination, determination, and innately inquisitive nature with a way to complete a monthly STEM project using the Engineering Design Process. With busy parents and educators in mind, every box includes all the materials and inspiration for projects related to an age-appropriate theme. 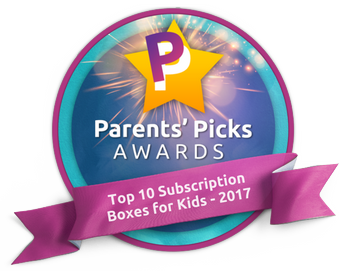 We offer high-quality award-winning boxes for young makers aged 8 and up. Recurring Subscription plans are available in monthly, 3-month, and 6-month prepaid plans. Each plan type automatically renews and you may cancel your renewal by logging into your account (at least five days prior to the renewal date) or contacting customer service at support@academicsinabox.com. Monthly subscriptions are billed each month. Non-recurring prepaid plans 3 month, 6 month and 12 month are also available and are billed at the time of order. At the end of the subscription period, these plans do not renew. You can purchase a Single STEM Box individually from our Single Box shop. All subscription plans can be purchased at our Groovy Shop. STEM•ist /stĕmʹĭst/ n. Expert in applying science, technology, engineering, and mathematics. Creator, inventor, maker…STEMist! Is there a place to see which kits you have and order specific ones? Under the Single Boxes tab on the main menu, you can see individual boxes we offer. Single boxes are an excellent option to try Groovy Lab in a Box. Approximately how long does it take to complete each kit? Groovy Lab in a Box is a project based learning tool designed with enough investigation activities and experiments to complete their engineering design challenge for an entire month. There are several extension activities/projects, experiments, videos, interactives, and a book library all related to the month’s engineering design challenge found in our website portal, Beyond in a Box. Yes we do accept school purchase orders. Once you have setup an account with us, purchase orders can be submitted via email to purchaseorders@AcademicsinaBox.com. Orders can be placed for subscriptions or for individual boxes. Invoices are billed Net 30. Feel free to contact us at purchaseorders@AcademicsinaBox.com if you have further questions. Can I slow down the frequency of my delivery? If you prefer to receive a box every two months instead of monthly, please try our Bi-Monthly delivery. When your order ships you will receive a Delivery Confirmation Email containing your shipping tracking number. If you would like more information regarding your shipment tracking please contact us for assistance at support@academicsinabox.com. Click the “My Account” link at the top right hand side of our site to check your order status. Be sure that all of the items in your order have shipped already. At the time of your order you should have received an email containing your tracking number. If you need assistance locating your tracking number please contact customer service for assistance. You only have to pay sales tax if you are located in the state of Virginia. You will receive a copy of your receipt/invoice at the time of your order. 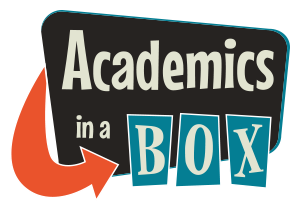 If you need another copy please contact us by emailing support@AcademicsInABox.com. After adding items to your cart, you will see a field underneath your items on the checkout page where you can enter your coupon code. To navigate this website, simply click on a category you might be interested in. Categories are located on the top of our website. QUICK TIP: Place your mouse cursor over anything you think could be a clickable link. You’ll notice that anytime you scroll over something that is a link, your mouse cursor will become a “hand”. Whereas scrolling over anything that is NOT a link will leave your cursor as an “arrow”.